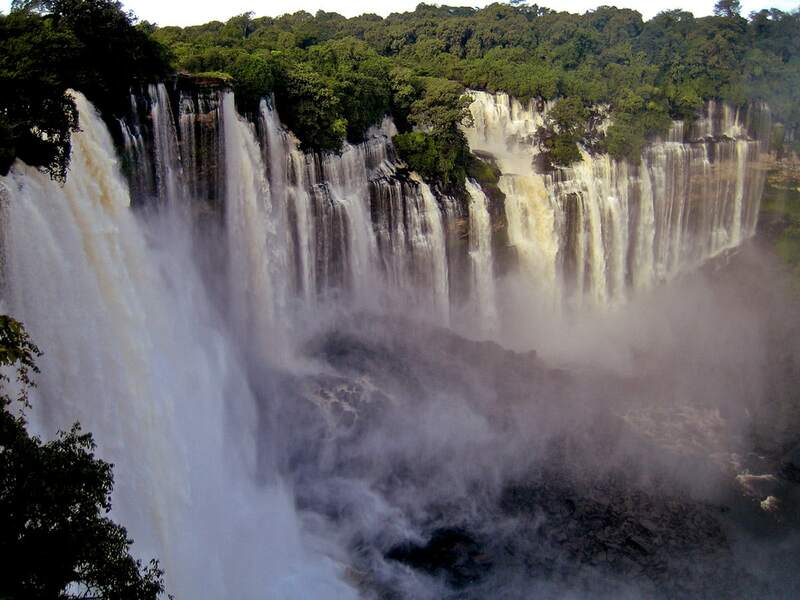 Kalandula Falls belong to the largest waterfalls of Africa. 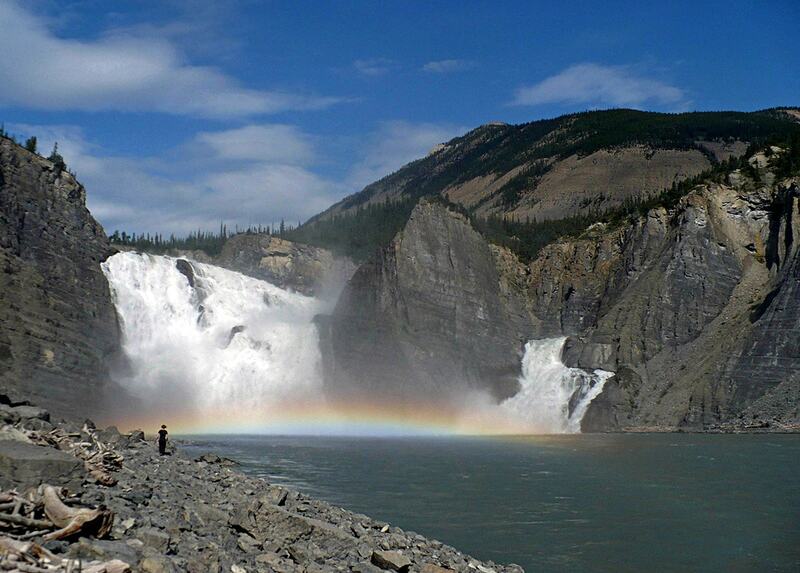 This waterfall is 410 m wide and (possibly) up to 105 m tall. 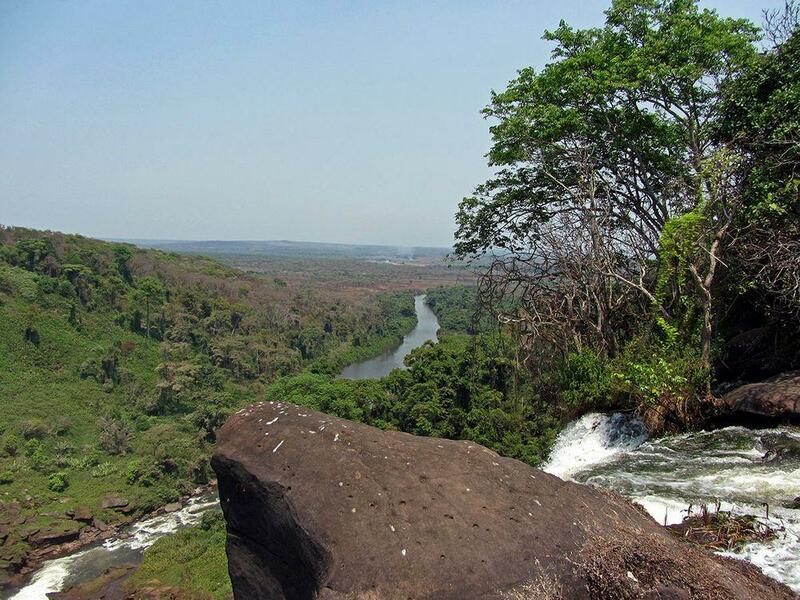 Falls have formed on Lucala river, the largest tributary of Kwanza. The stream of this horseshoe shaped waterfall is divided into countless smaller trickles by the crevices and boulders at the rim of falls. As a result Kalandula Falls have their own, very special beauty, they differ from any other large waterfall of the world. The stream is eroding the cliff, large boulders and smaller rubble often falls down together with water. Tourist handbooks often mention that falls are 105 m (or a bit more) tall. On images this waterfall though seems lower. The eternal vapour of falls has sustained a small oasis of rainforest around the river. In rainy period (February to April) this waterfall is especially impressive – then the stream becomes powerful, falls are up to 580 m wide. Mist of falls then is seen from afar. 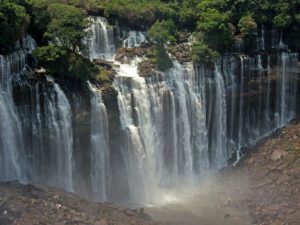 Although Kalandula Falls belong to most spectacular falls of the world, here are no ticket offices, railings, souvenirs and hordes of tourists. It has not been like this in earlier times – earlier here operated a hotel with carefully moved lawn up to the rim of falls. Before the independence of Angola in 1975 falls were named after Duke of Braganza – one of the highest titles of Portuguese noblility. Kalandula Falls, World Waterfall Database. Accessed in 08.07.2013. 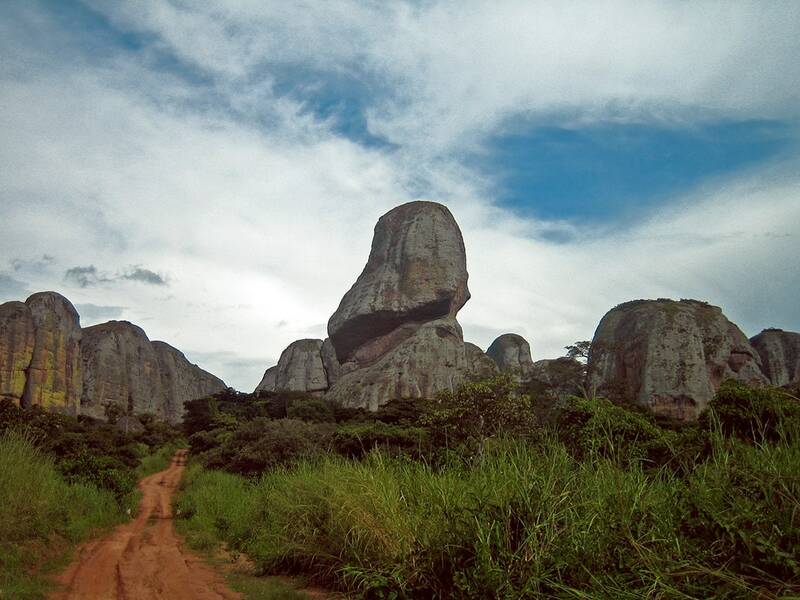 Highlights of Angola could be the otherwordly cliff formations – such as Pungo Andongo and Tundavala cliffs with ravines. Scientifically important are archaeological landmarks left by many local cultures – but it seems that many discoveries are still to be made. Country has gorgeous waterfalls and also interesting examples of Portuguese colonial architecture. Angola is changing at a rapid pace, though it is still far from a mainstream tourist destination. There is much to see and it can all be explored on a road network that is excellent by African standards, in a society that is both welcoming and safe for foreign visitors. Africa was the core of the ancient supercontinent Pangaea, and comprises some of the oldest and most extraordinary geology on planet Earth. This detailed and colourful book features 44 of the continent’s most spectacular and interesting ‘geosites’, from Table Mountain in the south to the eroded necks and plugs of the Hoggar region in Algeria; and from the volcanic islands of the Atlantic Ocean to the continental fragments off the African east coast.